The weather is finally warm enough for ice cream here in Australia, so once again it's time to start making it. 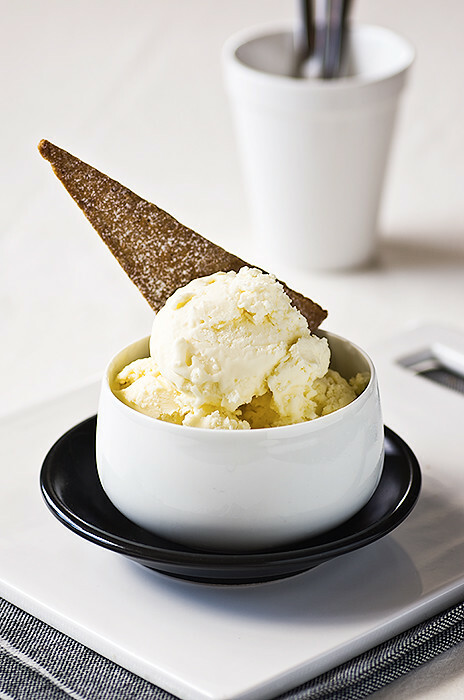 Homemade ice cream is exciting because you can make whatever flavour you like. There are barely any restrictions when it comes to what you can make at home. Super fun. I have this terrible, terrible love for this incredible bad for me lime cheesecake yoghurt they sell at the super markets. There's nothing good in it whatsoever; it's got tons of sugar and an odd fake flavour about it. This weird yoghurt, that I love but shouldn't, inspired me to make this ice cream. Luckily this ice cream doesn't have a weird fake flavour about it. It's much nicer than cheesecake flavoured yoghurt I hold so dearly. The creamcheese and lime complement each other nicely, and the gingerbread on the side go pretty well too. All and all a lovely treat, perfect for the spring weather. If I were to change anything about this recipe it would be to infuse lime peel in the milk. I thought about doing it for my ice cream but totally forgot about it by the time I got around to making the recipe. Infusing the lime with the milk would make the lime taste much stronger and, in my view, much more delicious! Cut the cream cheese into 1cm pieces. Zest the lime directly into the blender or food processor, then add the cream cheese, sour cream, milk, sugar, and salt and puree until smooth. Chill in the refrigerator until cold. Once cold, strain the cream cheese mixture through a fine mesh strainer. 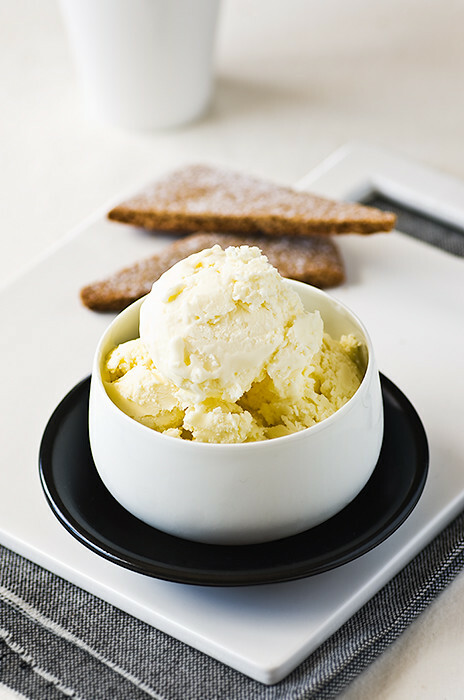 Transfer the strained mixture into an ice cream maker and cheese according to the manufacturer's instructions. Once frozen, transfer to a container and freeze for a minimum of 3 hours. I really love this book, it's one of my favorite because I love ice creams. Here in Quebec, Canada, it's definitly not the season for these, but I'll try not to forget this recipe for spring! i've always loved cheesecake flavoured ice cream!